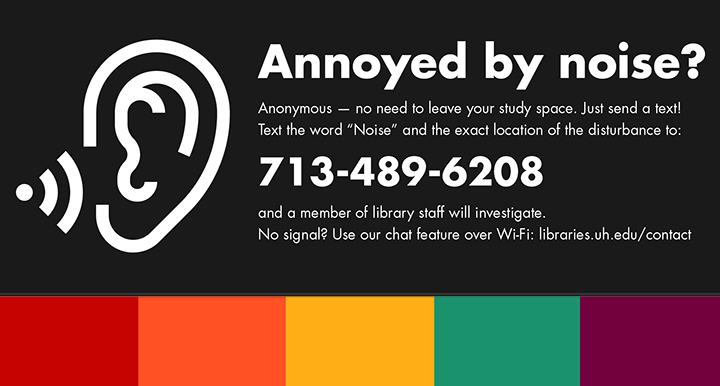 Ariana Santiago, open educational resources coordinator at University of Houston Libraries, will be available to provide consultations at the Faculty Cafe located at E. Cullen Room 33. 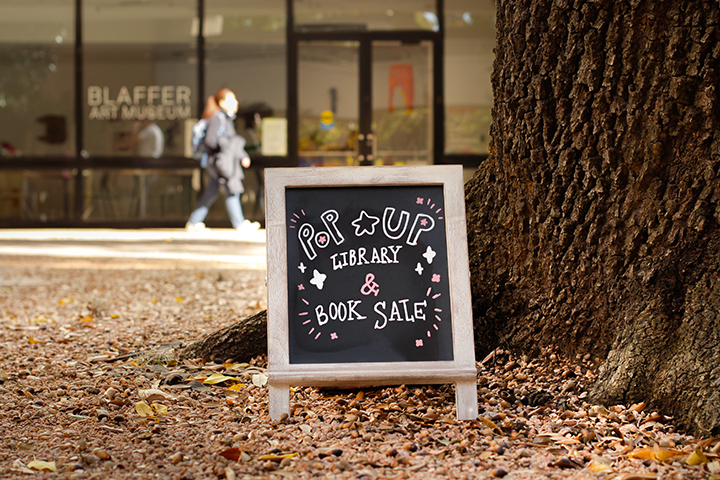 Faculty may drop in to discuss finding and evaluating OER for courses. 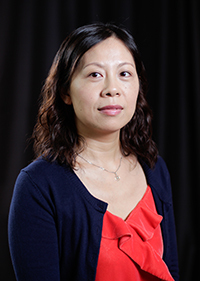 Consultations are available from 2:00 – 3:00 p.m. on a number of dates. The consultations are in partnership with Faculty Engagement and Development. 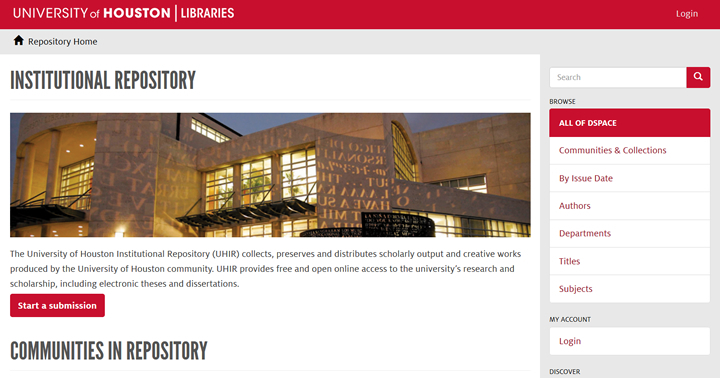 The University of Houston Libraries website can now be translated into multiple languages. 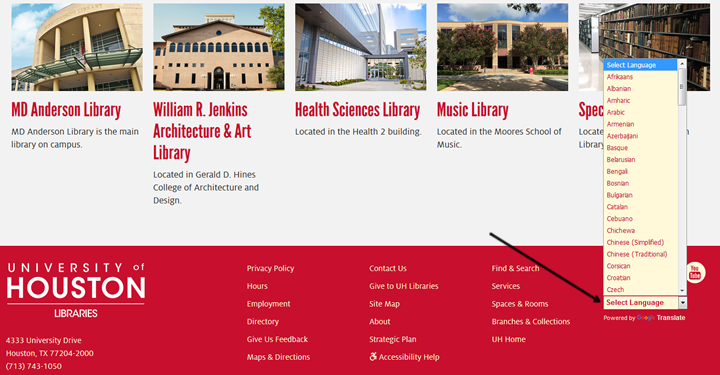 UH Libraries website can now be translated into multiple languages. Scroll to the footer and find the Select Language drop-down menu on the right.